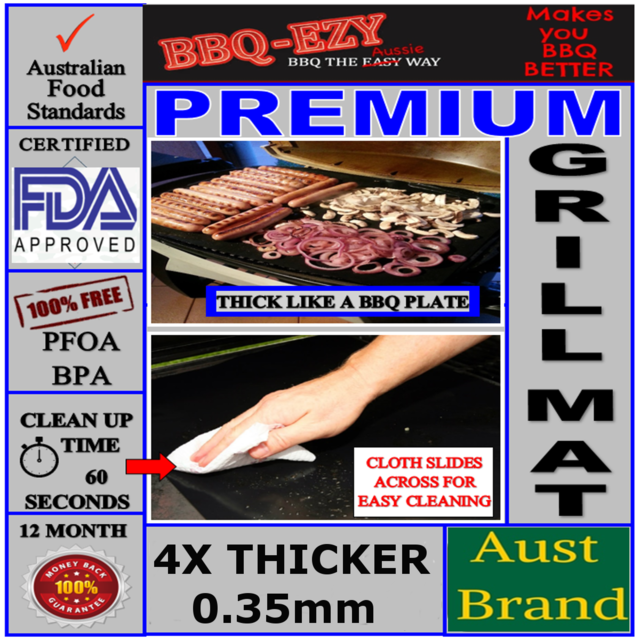 The BBQ-EZY Standard Thickness BBQ Mat is the ideal solution for clean fat free cooking on your barbecue. 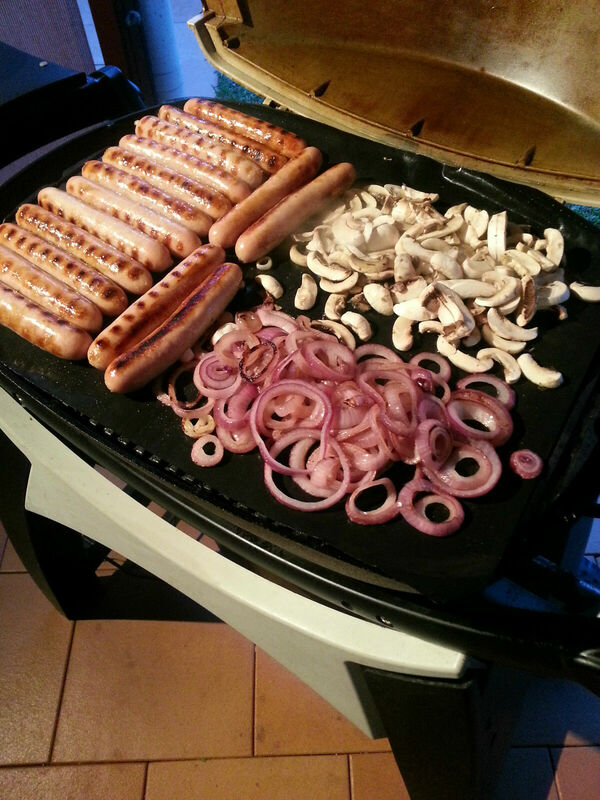 The heat from your barbecue transfers directly to the BBQ Mat to create the perfect cooking surface. 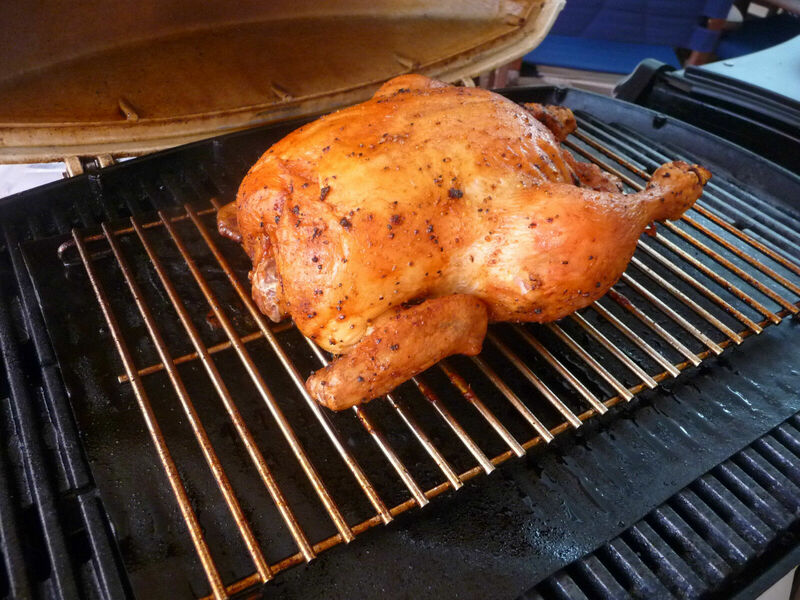 It's superior non-stick properties make it a breeze to BBQ without adding extra grease or fat. Nothing sticks to its surface nor will your food burn from the flame, so from sticky marinades to vegetables, fruit or fish you are guaranteed perfect results every time. 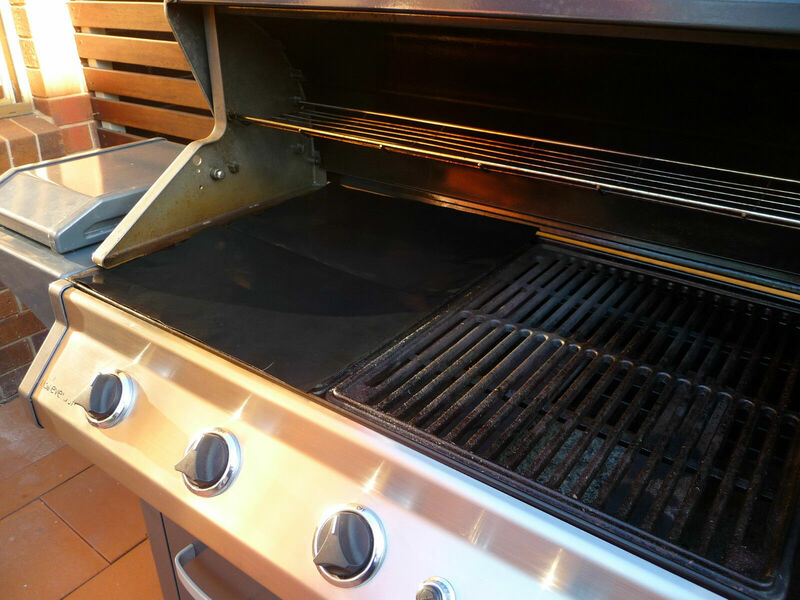 The best part is that your barbecue stays clean, you only need to clean the BBQ Mat with a splash of water and wipe clean with a cloth while it is still hot, or you can place it in the dishwasher. BBQ-EZY has a size to fit any size barbecue from the smallest to the largest, you can also cut it to suit your specifications, we are the only supplier that provides this service to you. 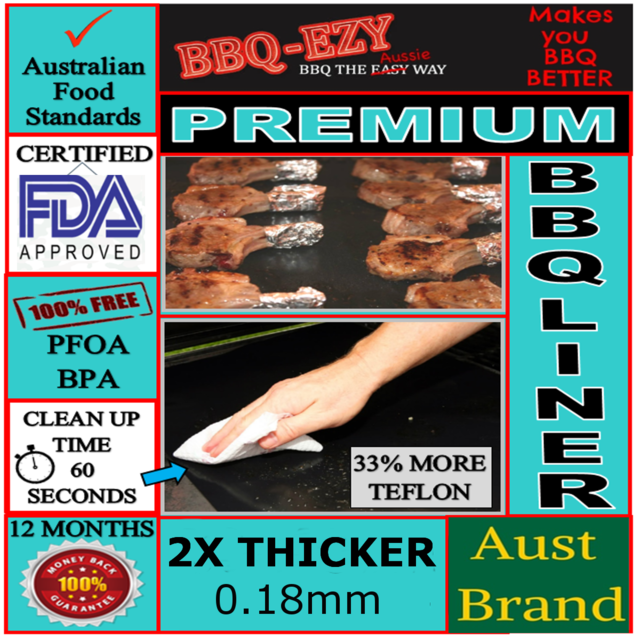 The BBQ-EZY Standard Thickness BBQ Mat is made with Food Grade PTFE and is suitable to use up to 260 Celcius. 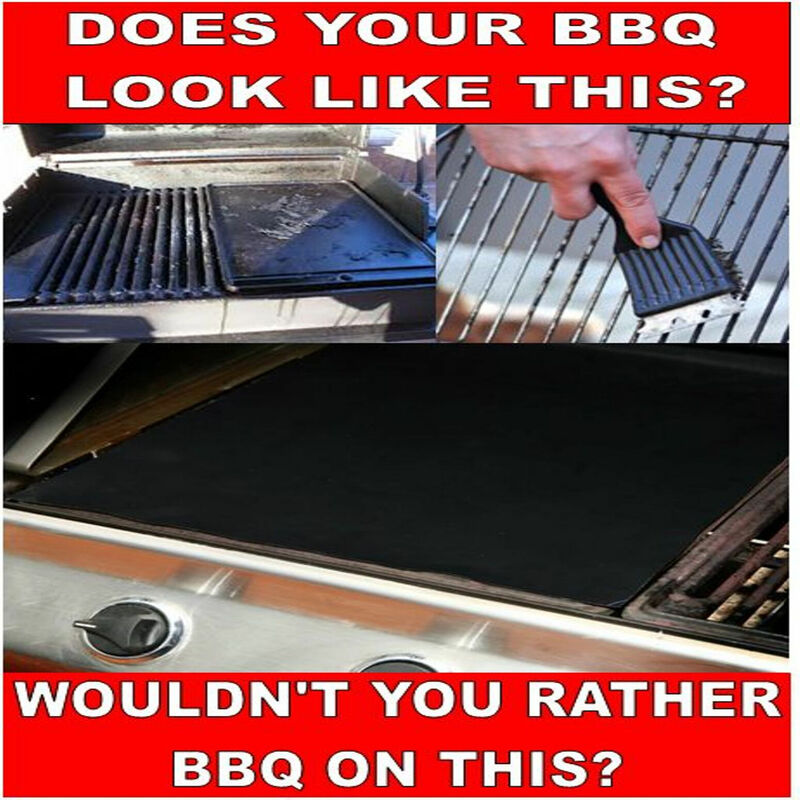 It is best used on BBQ Plates and Griddles where there is a barrier between the flame & the BBQ Mat. If you need to cover the grill section of your BBQ please choose from our thicker mats at the top of this listing. We ship within 24hours of receiving payment. We ship with Australia Post and will notify you once your order is shipped. Tracking is not a standard feature of this Australia Post service, although where available, is offered as an additional service (see our postage options in checkout). Please note that shipping times are estimates provided by Australia Post and not by us, we would recommend that you use them as a guide only as they are not always accurate, if you need it quickly we suggest you use the Express shipping option. International shipping is available where offered and this option is provided at checkout. We are so confident in the quality of our product that we offer you an iron clad guarantee that your BBQ Cooking Mat will still perform to your satisfaction in 12 months*. 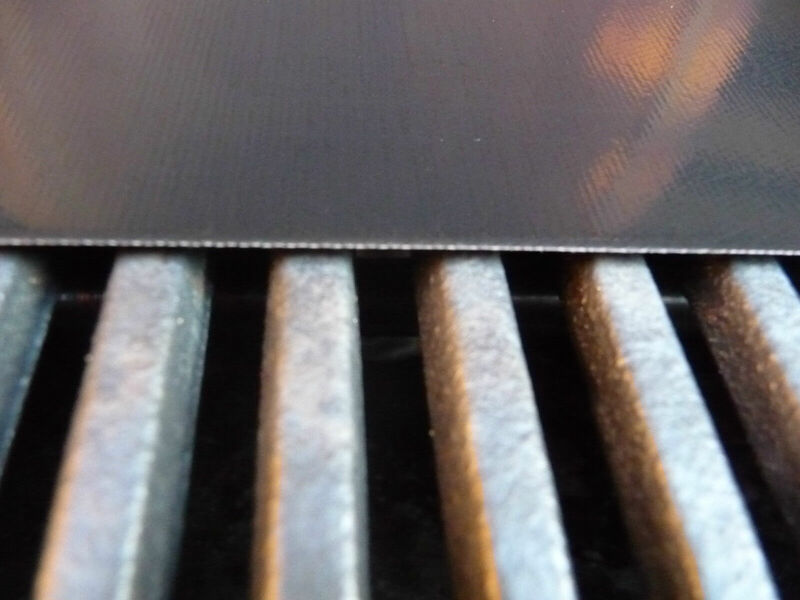 Our bbq mat is different to the rest, if you hold the cheaper versions upto the light you will see the fibres of the core mat, and that's not good. Most PTFE coatings can be inconsistent and compromise the use of the bbq mat under heat stress, and who want's their barbecue spoilt! We only use Food Grade PTFE as our nonstick coating which has been approved by regulatory authorities for use with heating and cooking food worldwide. 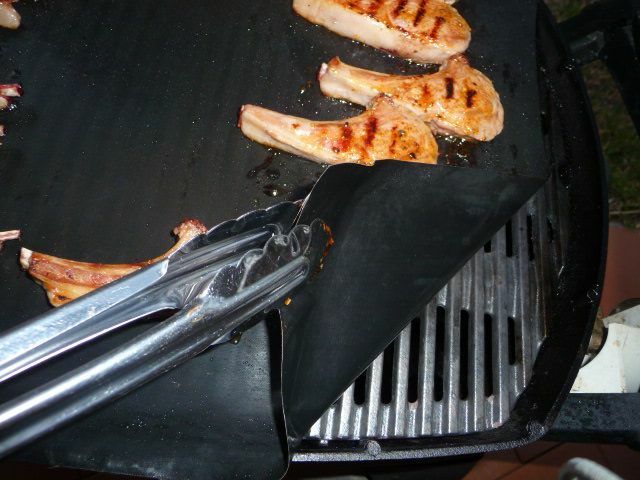 There are many claims made by sellers of BBQ MATS, most cannot be substantiated as the material they use is inferior. Guarantees are a great gauge to use before buying any product online, and only BBQ-EZY gives you 365 days to decide if you are happy with it, not 14 days (if you're lucky) like most other suppliers. "TRY US" You have absolutely nothing to lose. No need to keep your receipt, in the unlikely event that a problem occurs just send a message and we'll get it sorted for you. Will it last longer than 12 months? Absolutely, when used according to instructions it will last you for a few years. But 12 months is a fair time for you to use it as often as you like and then make up your mind whether you are still happy with your purchase. *must be used in accordance with instructions for use. 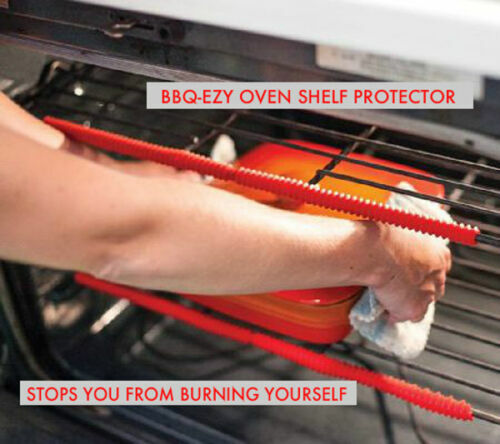 <>BBQ-EZY have been supplying PTFE coated fabrics to the commercial and home markets since 2006. 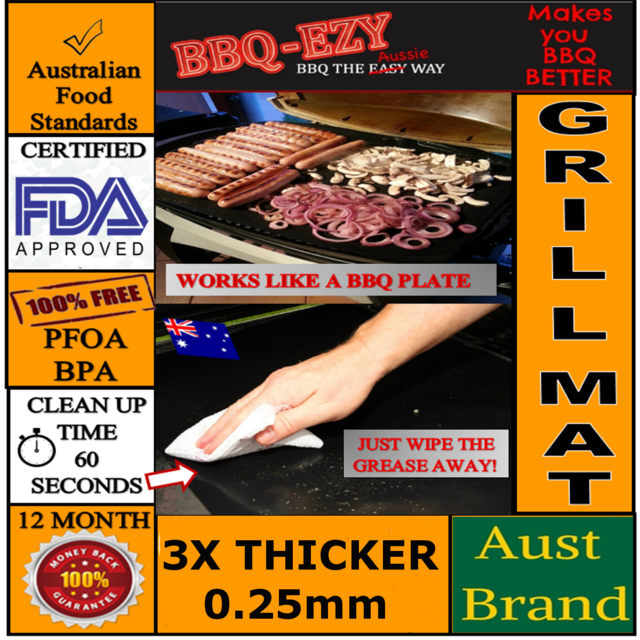 Our BBQ Mats are recognised as the best on the market & we support you with a 365 Day Money Back Guarantee. We supply to all countries and are able to supply small or large quantities in any size or thickness that you require. Our Online Business Model allows us to ship to most locations by next business day. We are happy to assist you in anyway, just send a message and we'll respond quickly, try us.